Creating a well-constructed Header and Footer Menus is a key to good visitor orientation in your website, blog or online shop. You can utilize both menus to showcase your content and attract additional attention from visitors. 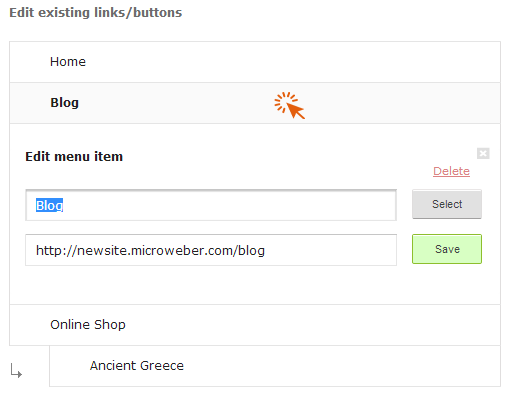 When you have newly created your website using Microweber, you will only have a Header Menu with three sections on it. These are the Home, Blog and Online Shop sections. You can edit them per your choice - for example by renaming them and changing their content. 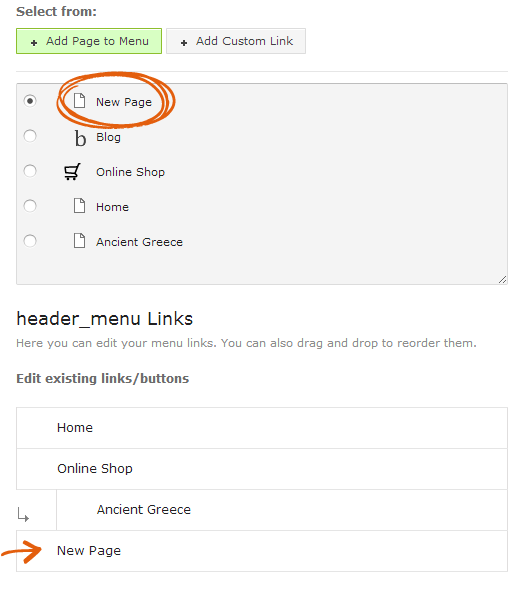 First, choose which menu you wish to edit – a dropdown menu lets you choose between Header and Footer. Whichever you choose you will be shown the current existing pages on this menu. You can easily rearrange them by dragging and dropping with the cursor. 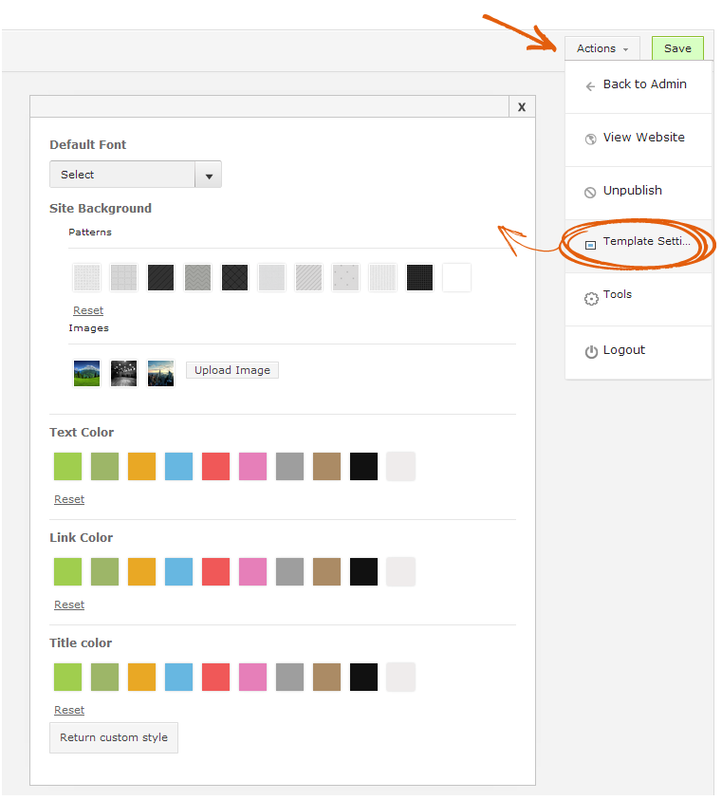 You can also edit them by clicking on an existing page – thus you can either set a new title of this page, or link it to different content on your website. Then you will see this screen. It is needed to have created your new page already. 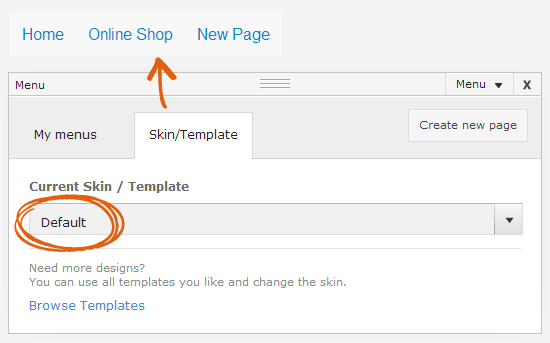 You can also use the slider to resize the ratio between elements on the Header/Footer Menu. In case you lack a Header or Footer Menu, you can insert one on your page. Clicking on the Modules Bar (the three horizontal lines at the top of the page in Live Edit) will show you the different modules. Navigate through it and find the Menu Module. 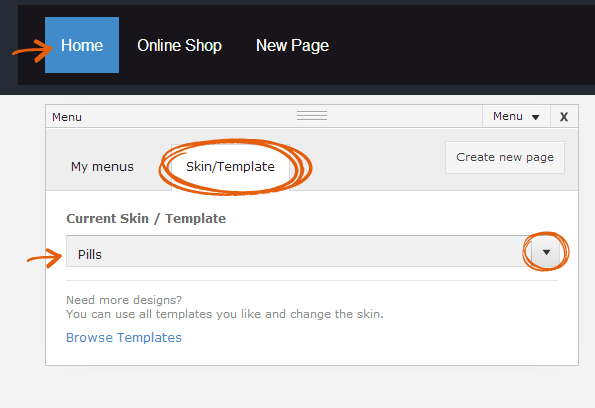 You can insert it into the desired place on your website’s interface. 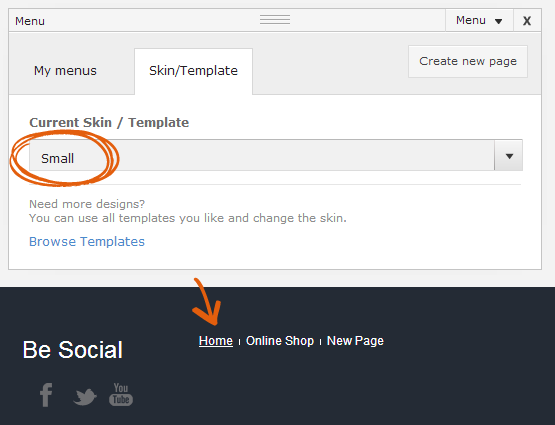 IMPORTANT: Whenever you create a New Page it will be added to the Header Menu by default. 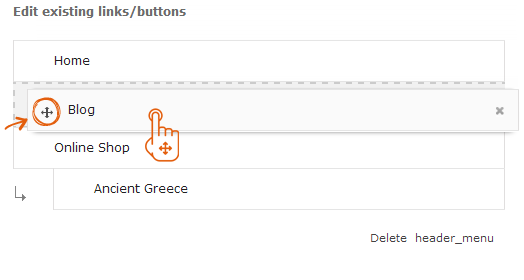 If you wish to change this preference, on the Admin panel click on the Add to Navigation Menu tab just below the new post body. - Choose your Background color or Background image. 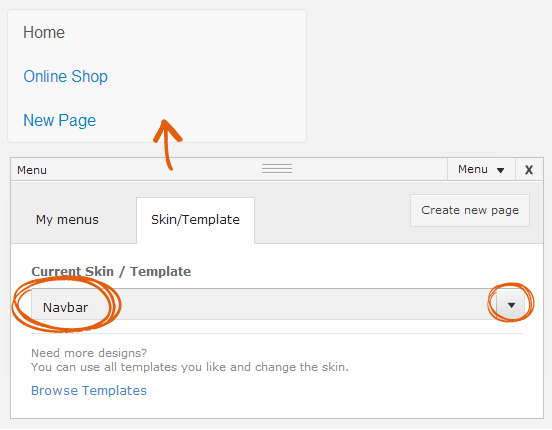 You can then select one of the colors used in the default Microweber template or make your custom color. You can also check out the Tools menu (again accessible through the Actions button). It gives you the freedom to change the color of a certain element, define its size, margins, border or some other settings. 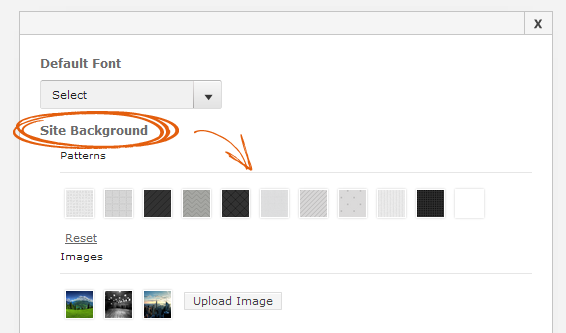 Important: Be sure to click on a certain element and select it (e.g. 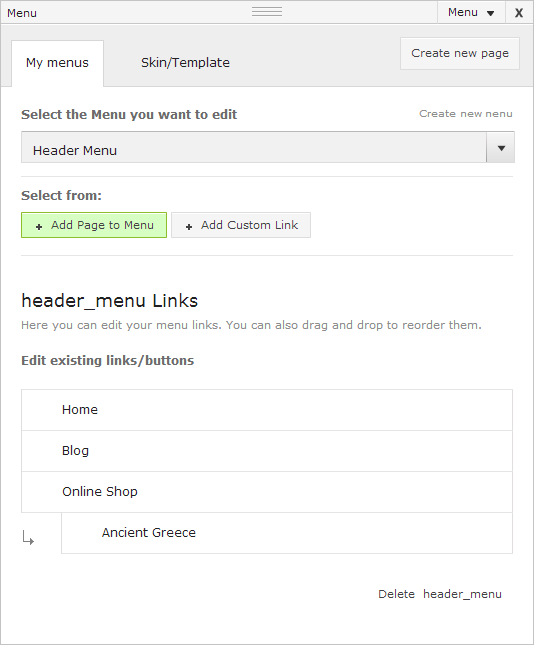 Header or Footer menu). 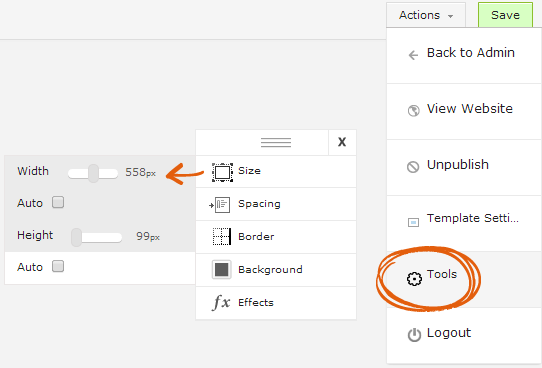 The Tools menu applies only to the element you’ve selected with your mouse!